There haven’t been too many finishes here of late, but then I guess that can be rather typical of summer. For the past three weeks we have been on holidays back home in Ireland and although I got a little EPP and wool applique work done I spent most of my time enjoying summer days with my family. July saw me surround by chiffon and crepe de Chine as I made the bridemasids’ dresses for myself and my sister for our other sister’s wedding. With me living in Switzerland and my sisters back home in Ireland it was never going to be easy to organise shopping for bridesmaids’ dresses. We originally planned that my sister would shop at home and once she found a dress I would make something for myself to match it. But as time went by she found it impossible to find a dress and so I offered to make both. 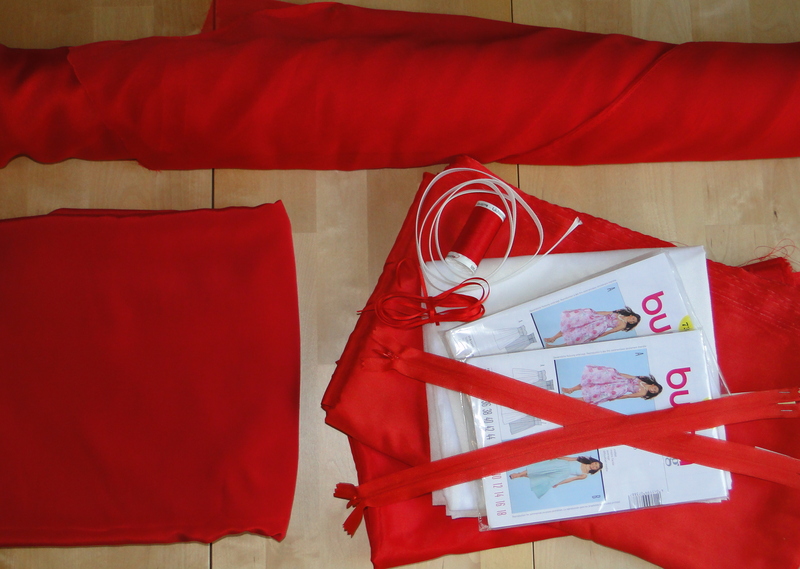 We opted for red, choose a pattern, I ordered the fabrics, sent a muslin home and was all ready to start when I found another pattern we preferred even more. So another muslin was made and posted back and forth and then I finally got stitching. The pattern we was from the burda style collection (pattern number 7388). It features a bodice of ruched chiffon and lightly gathered chiffon skirt, both of which were originally laid over a layer of lining. 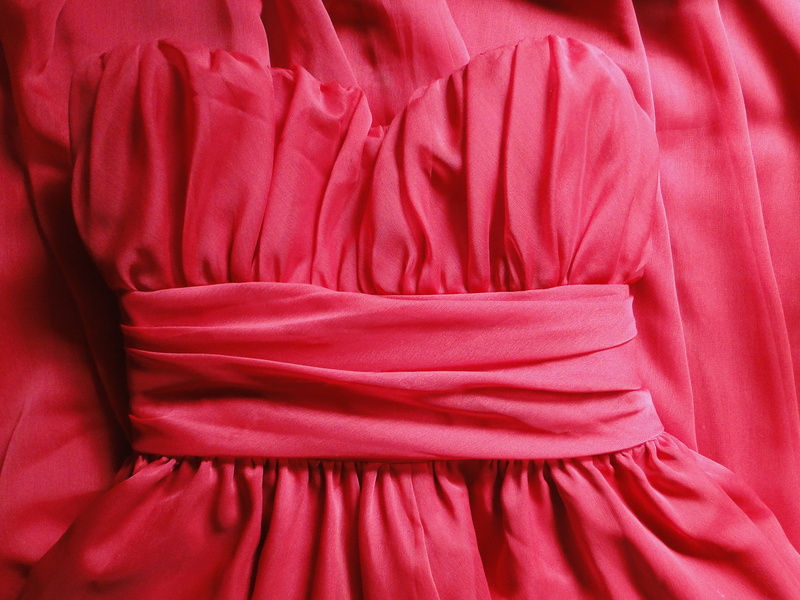 I made a few changes to the pattern and underlined the chiffon with an extra layer of crepe de Chine. The addition of the crepe de Chine gave the dresses a beautiful depth of colour (which is unfortunately very difficult to photograph), and a lovely drape. While I was able to make up most of the dresses before travelling back home I left the fitting of the zips and hemming till then so I could make sure that the fit of both dresses was just perfect. 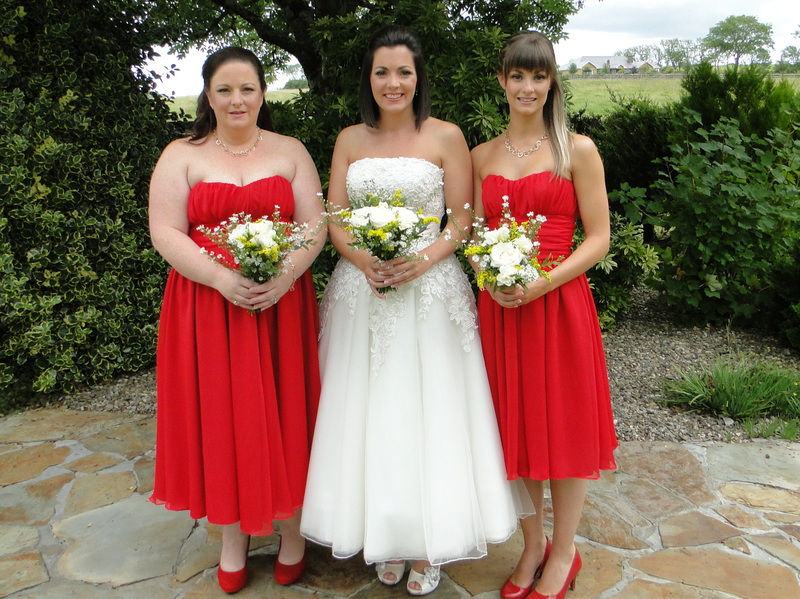 And I think you might agree that when finished both dressed looked perfect. Somehere in those final few days of last minute sewing I found the time to make myself a matching bag. It was very last minute and sewn without a pattern or planning so I’m not 100% happy with the final shape, but it more than served it’s purpose on the day. Woooah this is really nice work. Nice choice of fabric and color. (Red is my fav color) . I really wanna try this pattern. Once again great job and congratulation.